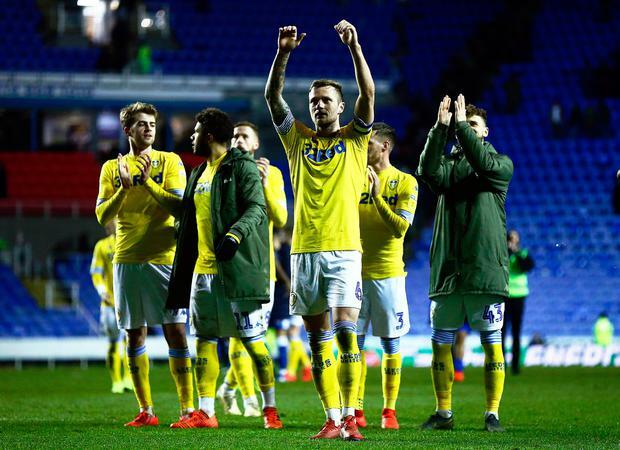 Leeds moved back to the top of the Sky Bet Championship with a convincing 3-0 win at Reading. Mateusz Klich fired the visitors into an early lead in the 13th minute, slotting the ball home after Luke Ayling's surge down the right. David McGoldrick, though, made sure off victory when he headed in from close range with seven minutes left as Chris Wilder's side closed to within a point of Norwich.